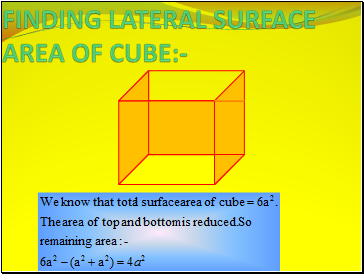 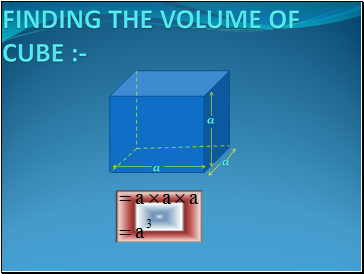 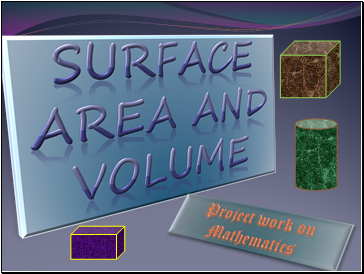 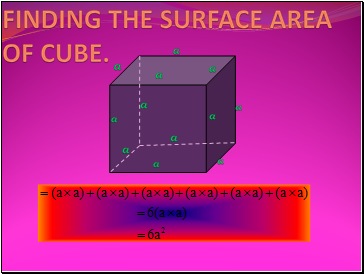 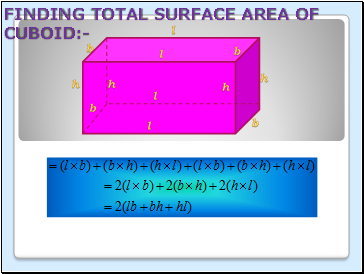 Finding the surface area of cube. 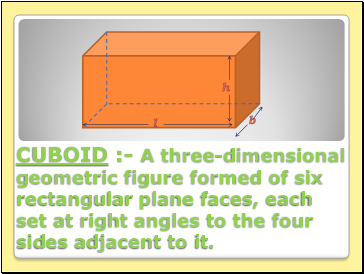 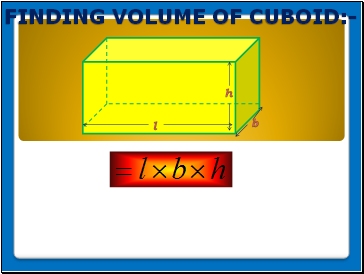 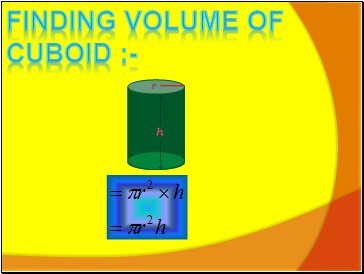 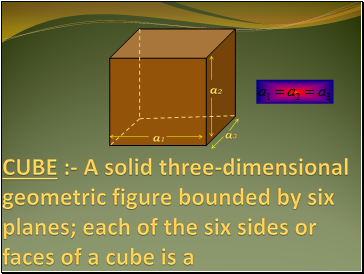 CUBOID :- A three-dimensional geometric figure formed of six rectangular plane faces, each set at right angles to the four sides adjacent to it. 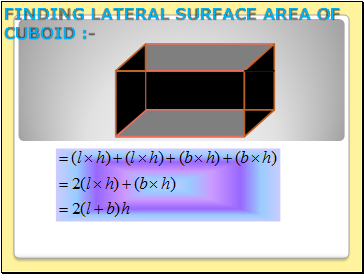 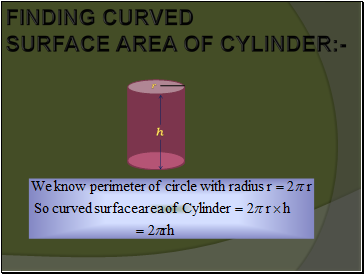 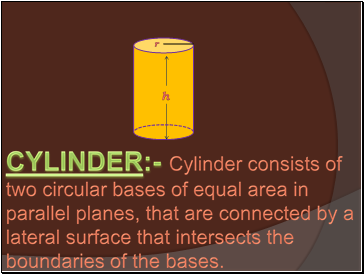 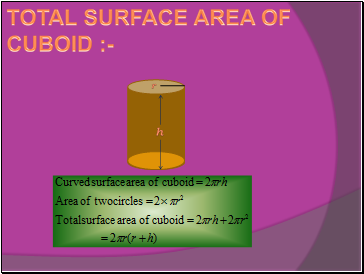 CYLINDER:- Cylinder consists of two circular bases of equal area in parallel planes, that are connected by a lateral surface that intersects the boundaries of the bases. 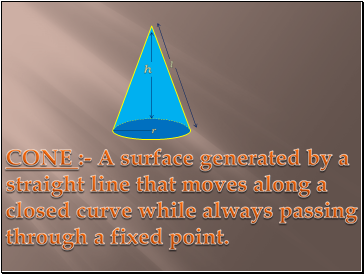 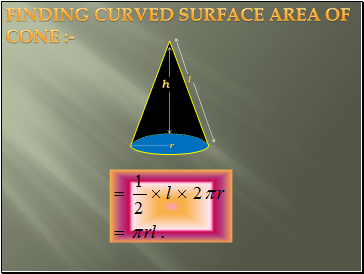 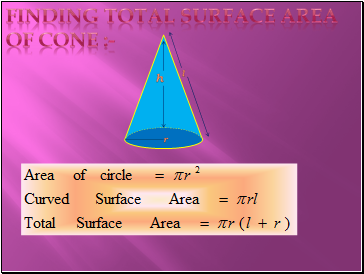 CONE :- A surface generated by a straight line that moves along a closed curve while always passing through a fixed point.